Get competitive quotes on outdoor advertising in The Big A! 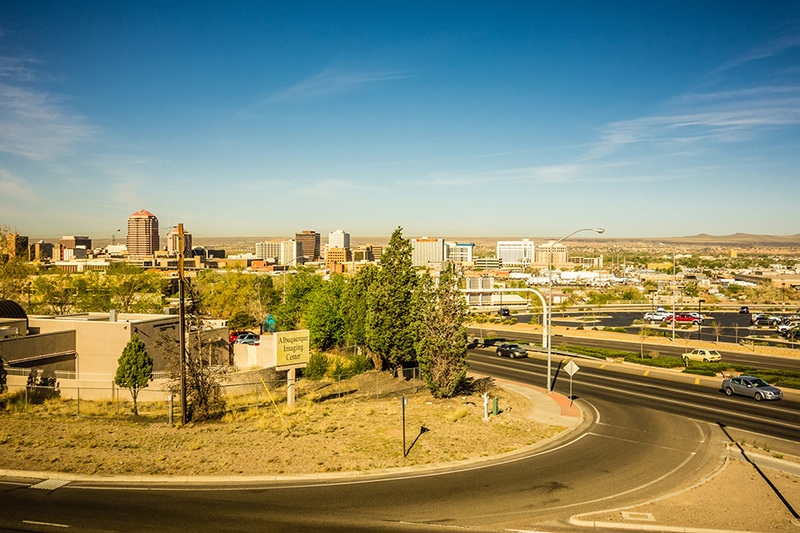 Albuquerque is the most populous city in New Mexico, making it a great location for outdoor advertising. Home to the University of New Mexico, Kirtland Air Force Base, and the International Balloon Fiesta, the city has incredible advertising opportunities. Some of the best billboard advertising options can be found along the Pan-American Freeway, the Coronado Freeway, Paseo del Norte, Coors Boulevard, Central Avenue, Alameda Boulevard, and the Big I, where I-40 and I-25 interchange. The routes of the New Mexico Rail Runner Express have ample opportunity for transit advertising while ABQ Ride bus systems have ample opportunity for bus and bus stop advertising. Select an advertisement from below for more information. Or, check out BillboardsIn to get competitive quotes for your next ad campaign in The Duke City.